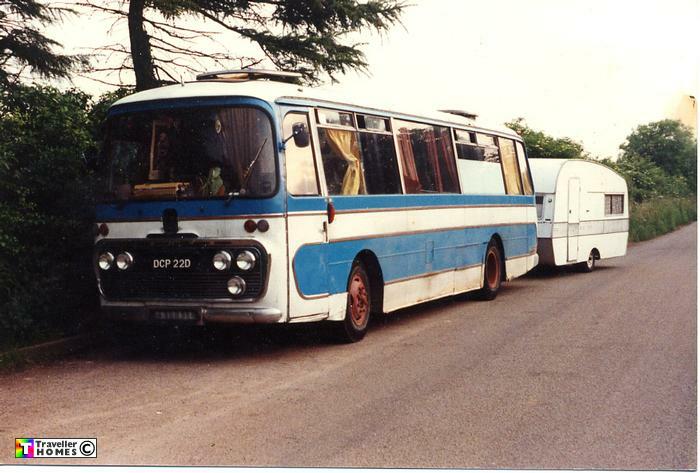 DCP22D (1966) Bedford VAM5 . Plaxton Panorama II C45F. Ex-Sheard . Halifax . Seen ? . They bought the bus in 1988 from Woody , later painted it dark green & sold it to Clarky & Nikki from Hulme . photo = Nikki .